Facebook Co-Founder and CEO Mark Zuckerberg wasn’t joking about “building separate mobile applications beyond the main Facebook app” during the company’s fourth-quarter earnings call Wednesday, as Paper was announced just a few hours after the call ended. 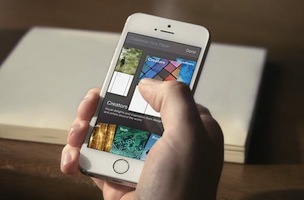 This is something we’ve focused on by building separate mobile apps beyond the main Facebook app. Messenger and Instagram are examples of this. We launched a new version of Messenger to make the app even faster for mobile to mobile communications. Messenger was among the most-downloaded apps on iOS and Android in December, and we’ve seen meaningful growth in engagement since launching. The number of people using Messenger grew more than 70 percent in the past three months, and we’ve seen a large increase in the number of messages sent. We have a lot more coming to Messenger in the first half of this year, and I’m excited to build on these early results. And in terms of the focus on building new and separate experiences, our theory is that there are all these different ways that people want to share and communicate. Almost any kind of content that you can imagine sharing — text, photos, videos, links, locations, events, games, any type of content, with any type of audience — you know, whether it’s privately in a one-on-one situation, or small groups, or with all of your friends, or a larger community, or publicly. There’s an interesting intersection between most of these things, and one of the things that we want to try to do over the next few years is to build a handful of great new experiences that are separate from what you think of as Facebook today that are just kind of helping to explore that space and give people new ways to share. I think you can see that that’s something that people want, from some of the mobile apps that exist out there today. You can see it from our own offering, with not just Facebook, but also Instagram and Messenger already today. And we’re going to keep on working on this over the next few years. Before I get into some of the newer types of things, which we’ve actually touched on most of them already on the call, I also want to take a moment just to emphasize that we’re going to start building new experiences, but they’re going to start small compared to where the core of Facebook is. So most of the results that we’re going to see in terms of the increase in engagement and sharing and our business are going to come from the core Facebook experience, because mathematically, it’s just so much bigger than everything else that is out there that the numbers — there would have to be multiyear investments to add up to that. I mean, you can look at, for example, comScore puts out these numbers every month or so that reference the amount of time that people spend in different mobile apps. Facebook I think is almost five to 10 times bigger than the next app that is out there. So it’s going to take a while for any of these things to turn into huge things. So some of the things that we’re thinking about are all of the different kinds of ways that people might want to share different kinds of content with different audiences. So I talked about groups earlier on the call. That’s something that half a billion people are using. It’s currently a feature within the Facebook app. Giving experiences like that room to breathe and really develop to be their own brand, I think, is a huge and valuable thing. It’s not necessarily the next thing that we’re going to go do, but it’s kind of an example of the type of audience and type of content that people might want to share. Examples of things that we have done are, Messenger is a really big focus for us, and we’re focusing on that as a standalone experience. Instagram is a different kind of community than Facebook. We just launched Instagram Direct within Instagram, which is one-on-one or small group photo and video sharing. And you can kind of view that as the kind of experience that we’re going to be rolling out. But there’s a lot of space here, for a lot of different kinds of things, and what I think you should take away from this is that while the core business growth is going to come from the main app that exists, just because the numbers are so much bigger than everything else today, that’s going to just be where most of the momentum comes from. You should also expect us to start building a few of these other things that we’ll focus on over a long period of time and hopefully build into meaningful things, like Messenger and Instagram are today. 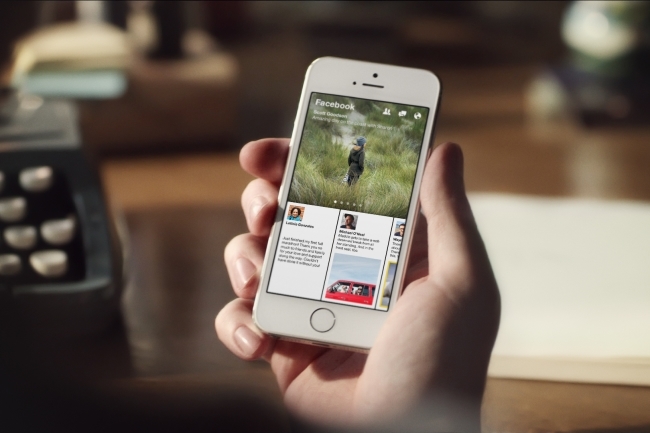 Readers: What other types of separate mobile apps do you think Facebook is working on?